For those of us in the Star Wars generation who had permissive parents with disposable incomes, we have fond memories of toy collections that allowed us to relive our favorite Star Wars adventures. Many of us lost touch with our collections over the years, which meant that we may have thrown away thousands of dollars in amazing collectible items! So, if you're one of those lucky few WHOSE PARENTS DIDN'T PUT THEIR ENTIRE TOY COLLECTION OUT ON A GARAGE SALE THE SECOND THEY HIT PUBERTY (*cough*) then you might want to see what those toys are worth, especially if you can get them AFA-graded. The AFA, or Action Figure Authority, grades collectibles based on how intact the toy and the packaging has remained over the years. You can find out how much your pieces are worth and where are the best places to sell them are. OR you can keep the item as a treasured keepsake of a long time ago, in a galaxy far, far away . . .
Why not start your collection with the hero of the original Star Wars trilogy. 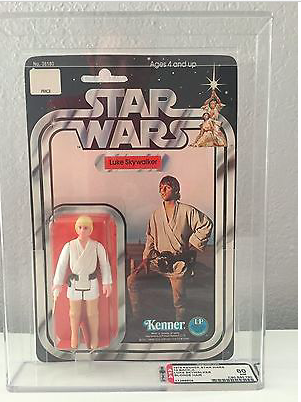 This figure shows Skywalker in his Tattooine farm boy outfit, well before answering the call to adventure. The scrappy little Astromech droid plays a central role in all the Star Wars films. Though we don't understand what he says, we can definitely understand his heroism. The heart of the Rebellion and the warrior committed to overturning the evil Empire, this figure represents the Princess in the earliest stages of her career. She's one of the most formidable characters in all of science fiction and it's a lovely collectible to own. The Dark Lord of the Sith is one of the most memorable villains in all of cinema. This brutal and imposing warlord captured the imaginations and nightmares of an entire generation. The Micro Machines was a line of miniature toys that scaled down massive vehicles and one of their most memorable releases was the Millennium Falcon spaceship. It's a gorgeous model and not as punishingly expensive as a lot of other similar figurines. One of the most popular characters in the Star Wars canon is the cocky smuggler turned hero Han Solo. His journey will continue in the upcoming Solo origin film this summer, but this is a great piece from his origin. The nervous counterpoint to R2-D2's brave little droid, C-3P0 works as a sort of Greek Chorus to the drama around the other characters. He's cowardly and nervous, but he can always be counted on by his friends. 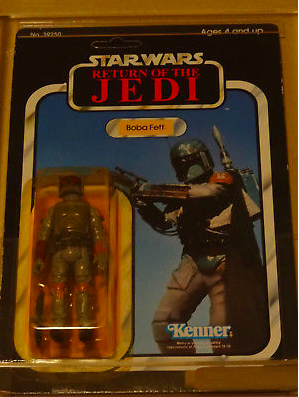 Boba Fett, the most dangerous bounty hunter in the galaxy, was instrumental in the capture of Han Solo and of baiting Luke Skywalker into Cloud City at the end of Empire Strikes Back. This fan favorite will make a wonderful piece for your collection. There's more to Star Wars than just the characters. The stories are told over dozens of worlds and in some of the most exotic locations. A classic is the sinister Tattooine fortress of gangster Jabba the Hutt. This playlet allowed kids to reimagine the battles inside Jabba's palace. The faceless armies of the Galactic Empire, stormtroopers are feared throughout the galaxy. Legions of them chase after our heroes, under the direction of the terrifying Darth Vader. 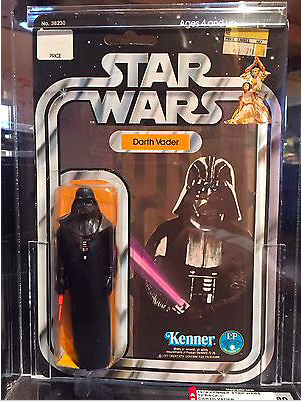 A great Star Wars figurine for the iconic characters. The brutally cold planet of Hoth has more dangers waiting for our heroes than just the cold. When Luke gets lost in the snow, he's attacked and captured by the Wampa. It's a great monster toy for your collection. Darth Vader is not only a fierce fighter and commander of the dark side of the Force, he's also a legendary fighter pilot. He flew out in his TIE interceptor to challenge Luke at the Battle of Yavin. This toy is a fantastic collectible for you dogfighting enthusiasts out there. Obi-Wan Kenobi, the wise old hermit and master of the Force who sets Luke on his journey, has become one of the most valuable collector's items. This beautiful piece captures his wisdom an splendor, as an elegant man for a more civilized age. A true rarity for collectors, this box set features many of the major characters from the Star Wars universe. A fantastic and iconic collectible, if you have money to spare. For you REALLY big spenders out there, check out the original Millennium Falcon play set from Kenner! It was a major part of my childhood and I'm vigorously kicking myself for having stuffed a peanut butter and jelly sandwich in mine. I guess I was worried they'd get hungry in space. Did we miss any? Let us know in the comments. And share this with childhood friends or with parents you want to guilt trip about them throwing away your old toys.